Pakistan State Bank has increased the main policy rate by 150 basis points. So interest rate has increased to 10% from 8.5%. The interest rate has been increased to control the rising inflation. The hard decision was expected as PAK Rupee hit record low against US Dollar at 144. This blog describes the expected behavior of Pakistan Property Market after Interest Rate Climbs to 10%. When interest rate increases, banks give more profit on the saving accounts. So people sell properties and deposit their money in banks. The massive sale of properties results in capital flight from reality sector due to which property prices fall. On the other hand, when interest rate decreases, people get less profits on their saving accounts. So people withdraw money from banks and invest in realty sector. In short due to the decrease in interest rate, investment in reality sector increases which leads to property price rise. Pakistan has observed two real estate booms. First boom lasted from 2003 to 2006 and the second from 2013 to 2016. The reason of the both real estate booms was the record low interest rates at 7.5% and 5.75% respectively. During both real estate booms, people got less profits on their saving accounts. So people withdrew the money from banks and invested in realty sector. Whereas each time property prices crashed due to the increase in interest rates. Currently property prices in Pakistan are crashing due to crackdown on black money, non filer buying restriction, Naya Pakistan Housing Program and NAB’s action against illegal housing schemes. Since the approval of budget (3 October 2018) 1 Kanal plot prices in DHA Lahore have decreased by 20 LAC. The real estate transactions are record low and many dealers are closing their agencies due to record low incomes. Its very hard to find a filer buyer so sellers have been forced to reduce the property prices. Pakistan Property Prices are 35 to 40% down from the peak of year 2016. Now as the interest rates are increasing, so the price fall will gain more momentum in the coming months. All events are pointing towards Dubai Style property price crash in Pakistan. Pakistani realty sector is alcoholic of black money. Without black money we can see price slide in Dubai. If property prices can fall by 75% in Dubai then same can happen in Pakistan. Today i have meet so many real esate broker as well i have surveyed the real esate house and residential open plot at various area of karachi. i have found very surprising result that the prices have jumped 10 to 20% . i mean 120 sq/yard home double story not less than 1.5 crore , 4 bed room apartment not less than 45 lakh and 2 bed room launch apartment not less than 30 lakh. it means non filer restriction for buying 50 lakh law is just law but it has not impact any price. This shows that pakistani nation are being happy for geeting loan but it did not understand one day loan must be pay with MARK UP. Economist furrukh saleem rightly said that FREE LAUNCH is not available in the whole world. world bank and IMF predict 3.5 % growth for pakistan 2019, it means we will see many people jobless in pakistan near future. and mini budget just away couply of days RS 170 B , it means everythings prices will further increase and will hot saving of people. in the whole scnerio where you see the proeprty prices in pakistan. Still it will go up if so then from where the esate agent will produce the buyer. simialry kindly also explain that a country economy is based on DEBT then how the same country real esate prices touching a developed countries price level. Actually since a long time i am trying to find out the cuases of soaring proeprty prices but honestly speaking i did not found any concrete based that may have increased the real esate market sky rocket in pakistan. i found only one things CEPEC and chinese arrival in pakistan but CEPEC is also shaking because all amount is loan and only USD 24 B export the ship can not carry the load of debt. Stay strong. These are just the bubbles before the bust. MALIK SAHAB SUNA HAI AJJ, K PROPERTY MAFIA K LIYAY RELEIF PACKAGE ARAHA HAI IN COMING MINI BUDGET..AS PER VIDEO I SAW OF BROKERS ASSOCIATION KA HEAD HE WAS SAYING HUMARI DEAL HUI HAI GOVT SAY N MINI BUDGET MAIN RELEIF AYGA ….DO U HAVE ANY NEWS ON THIS KIA PACKAGE ARAHA HAI FOR REAL ESTATE SECTOR…. BROKER MAFIA AND PROPERTY MAFIA IS DESTROYING GENUINE BUYERS AS THEY WANT PRICES TO SKY ROCKET SO THAT THEY CAN GAIN MORE HIGHER COMMISIONS …. Mini Budget 2019 is coming. There are just rumors, just wait for the final outcome first. kindly read the link: https://jang.com.pk/news/593293-profit-rate-on-national-saving-schemes-at-highest-in-last-6-years. it shows that if 14% return bank is giving then what do you think about the real estate boom and bubble to burst. it means in near future there is no hope to come interest rate on a downward trend. Now if we calculate the cost of 500 sq/yard home on good location it cost 5 crores at least.if we calculate rent for one year so average rent is about RS 80,000 thousand monthly and for one year Rs 9.6 lakh. now if we deposit 5 crores in a bank it will pay 70 lakh annually. it means from bank one can get 60lakh more profit annually as compared to invest in real esate real estate. Who will invest in real estate when property prices are falling but bank profit at 14%. Why people risk loosing money in reality sector. Interest rate will further increase by end of January. Sunday Dawn’s classified section for real estate has further shrunk in size from what it used to be. This shows that brokers have stopped giving advertisements. Plausible reasons would be that they have ceased to operate or are operating on a bare minimum margin necessitating saving on expenses; due to lack of or insufficient business. Prices would naturally fall but more likely there would be prolonged stagnation. This is when sellers keep holding on to unrealistic price levels and cannot bring themselves to lower price for a deal. Outright lowering of price is a bigger psychological barrier to cross than taking a hit via time value of money. So it’ll feel better to keep asking (say for a brand new 1000 square yards house in DHA Karachi – Phase 6) about Rs. 25 crores but not getting any offers for several years, than to sell it for Rs.15 crores right now. It might be the same thing — but quite a few sellers would not sell lower right away & hold out for psychological comfort. Quite a few but not all. Still, it’s very, very difficult to lower price by more than 10%. And that’s a huge problem because levels have shot up so high that buyers (sufficient numbers) with legal money are looking up from way down below – at least 50% below current price levels. So can’t sell happily even if you wish to and can’t buy unfortunately even if you wish to. Given this scenario, looks like price stagnation could reign supreme for a number of years. In the meantime, legal incomes shall start rising, a proper mortgage industry would crop up along lines of developed economies (where e.g. it would be possible for a legally high earning couple to put up say 20% equity while bank shall provide remaining 80%). For a DHA Karachi 500 square Yards house – if it were to be for Rs.4 crores (which it is not at the moment) – then someone could put up Rs.1 crore for bank to provide Rs.3 crores. Makes sense. Is doable. In a reasonably developed economy. But ours is not yet there. Psychological comfort or not, it is felt that mere price stagnation would not cut it. Therefore, likely possibility is that house prices shall fall at least to 2013 levels when a DHA-Karachi 500 square yards house went for Rs.4 crores and a 1000 square yards went for Rs.7 crores. In the absence of black money, those are the levels – supported by rising incomes and presence of a mortgage industry – that could perhaps resuscitate the market in 3-4 years; otherwise people can keep waiting until 2030 and hardly any deals would occur. So something has to give for market to move forward. Many investors are caught between the devil and deep blue sea. They have started receiving notices from FBR to explain sources of their huge investments without concomitant payment of taxes over the years. So they need to sell quickly and run. But sell to whom? The other side of coin is that most potential buyers have also received notices and simply cannot further paint a bulls-eye on their foreheads by buying expensive properties. However, out of this bunch some sellers would lower price by more than 10% and some buyers would emerge to meet them in middle. That middle ground appears to be price levels of 2013, given potential of legal economy in near future. Remaining properties significantly higher than those levels … would tend to remain unsold or unbought even beyond the 3-4 years stabilization phase. Even today THE NEWS has written a blog, simply accepting that real estate business is in decline. Like PAKISTAN Economy real estate sector will also revive after 4-5 years. There were news that ASAD UMAR will present another mini budget on condition if he fails to get help from UAE or China. Today China has agreed to lend $2 billion to Pakistan. So no mini budget or reversal of budget 2018-19 policies. Mafia is pressurizing for another amnesty scheme but government is on the track to end corruption once for all. I have read many blogs in last week and see everyone is saying that property market is almost stagnant and prices falling. Ever Since July 2016, the government of Pakistan has increased 100 per cent taxes and FBR & DC value on real estate sector. The heavy taxes on the sector are on its way to the verge of destruction. Millions of people affiliated with the business are starving now-a-days. The real estate business is facing worst crises. The prices are going down and business has suffered 50 to 60 per cent reduction. Many offices of real estate consultants have closed. Trillions of rupees are invested in the sector and every year billion of rupees paid in taxes to the government. The allied 72 industries are also suffering but the government is ignoring the problems and demands of real estate sector. Taxes imposed have exposed this sector to difficulties. Thousands of overseas Pakistanis are also badly affected by the recession in real estate business and have diverted their saving to other countries and foreign exchange reserves have been dropped. Overseas Pakistanis are also keen to know the government policy for real estate sector. An attractive investment policy will ensure many times increase in remittances by overseas Pakistanis. We are knocking the doors of FBR, National Assembly and Senate through finance committees to redress our grievances since July 2016. 1. Real estate sector should be declared as dedicated field and must be designated federal minister and also designate provincial ministers. 2. The Government of Pakistan should immediately allow all Pakistanis to buy a property and they should be considered as filers. 3. 100% increase in the taxes announced in July 2016 is withdrawn and thereafter all kind of taxes be frozen for at least three years and FBR & DC Values can be revisited with the consultation of all stake-holders. 4. The interpretation of 236W needs to be addressed immediately. Following needs to be implemented forthwith. a. In certain areas 3% is being charged forcefully for the Real Estate transactions irrespective of availability of declared amount. This is irrational and needs to be clarified to all regional offices of tax department. b. Upper limit on availing 236W may be removed in cases where the purchaser wants to declare the actual value of the property. 5. A general amnesty should be announced for expatriates and Pakistanis having assets abroad to improve reserves and circulation of money for those who have not availed previous amnesty due to uncertain circumstances. We are demanding amnesty scheme only for those people who have undeclared amount, we will not support those people who are having black money. 6. Gain tax period may be fixed at 2 years with slab/flat rate of 5%. 7. In case where the properties are sold on installments by the land developers, the tax should be charged for the actual deposited amount and not on the booking price. 8. The upper limit of Advance Income Tax should be enhanced from Rs4,000,000 (rupees forty lac only) to Rs6,000,000 (rupees sixty lac only). 9. Real Estate Policy to be introduced/declared by the government forthwith general public, consumers, land developers, property consultants etc to create congenial environment in the country for this vital sector/field. 10. Confidence Building Measures (CBM) to be initiated by the government for land developers/consumers/societies to kick start real estate activity in Pakistan. 11. An independent department should be created to regulate all the real estate consultants of Pakistan and government should make some mechanism to secure the 2 per cent service charges (commission) of real estate consultants. 12. Builders/developers must be encouraged with easy loans and other facilities to promote real estate sector to overcome shortage of housing units in the country. 13. 1n case above para 3 is not acceptable by the government, real estate business to be documented on fair market value with 1% tax to be charged by federal and provincial governments. Yes real estate property market is in worst situation this is why I have told everyone to wait a couple of months before investing. What is your projection of DHA City Lahore project wr.r.t. pricing and timelines after it is going into a good direction by the CJ of Supreme Court of Pakistan. Nothing will come solid unless DHA is ordered to provide plots or money to those who were affected. Please inform us the current status of al hafeez garden phase 2 canal road lohare for price increase and LDA approval status. I’m interested in buying Semi-Commercial 1 Kanal House in Johar town Lahore. Also, Do you expect any price decrease ? Currently, Good location house has demand around 4 Crore ? Please note that it can immediately generate rental income of 1.5lac also. Although, I’m not interested in renting it. What is downside risk ? Same House was selling at 6 crore back in 2016. In 2013 price was same 4 crore. Not an ideal time for buying property. I am always in favor of buy to let investment as it generates constant revenue that covers the price fall in even hard times. Ideally you should wait for some time to see the market trends. Also, I have made some offers in Johar town Lahore. But no deal yet. I try to keep my offer a bit low. Either dealers don’t arrange meeting with seller because they claim offer is very low OR owner want better offer. – 5-marla (5-bed house) I offered 105 lac but owner stayed at 120 lac. – 1 Kanal (80 feet road Single story) I gave final offer of 275 lac while owner is asking for 310 lac. I fully understand interest rate is up, and all factors are against property. But I also know the mentality of Pakistani People and how much they love making properties. Specially, johar town area where can see people from whole punjab. In Johar Town, I have observed price stagnation or minor decrease in price but not much. Should I wait ? Because I think as soon as Pakistan will receive IMF bailout & dollar will settle. Property in Johar Town can increase but very slowly. 5/10% a year. Agree and this makes a lot of sense. Govt has not been able to do anything against real estate mafia so far and another mii budget is on its way in which lifting of ban on 5 million and filer condition are proposed (zamee.com claims). In case that happens, market will further increase. I believe, Property prices can not go backward in Pakistan due to mentality and holding power of people. Beyond that, brokers will never allow anyone to install transparency into this 7 trillion market. I will only suggest you to wait. Because property is under pressure. My friend is builder and his 3 homes are ready. He got good offers but struct in old mentality to sell houses at big profits. Property prices are falling and will remain low for few years. Property prices only depend on interest rates when banks are major stakeholders of property. In Pakistan, there is no concept of mortgage. In the USA and Canada and western countries, every property is owned 80 to 90 percent by banks. In Canada, property prices were record high in 2017 because banks were offering as low as 1.7 percent interest on house mortgages. In mid 2017, banks in Canada started increasing interest rates so property prices decreased by 10 to 20 percent – but got stable after that. Now mortgage interest rates are approx 4% in Canada. In Pakistan, properties are 100 percent owned by the owner. Therefore, no one will sale his property on loss just to get interest from banks where every one knows that rupee will devalue further. No one will sale his property on loss except there is a serious need of hard cash. You are thinking in one direction which may be true for some individual especially those who have house/flat (not plot) and they are living in their house/flat. May be they will not sale their property in loss and deposit the amount in bank in order to reap the benefit of interest. I know many persons who are desperate to sell their property (even house and even in little loss) in order to reap the benefit of interest. Although i dont know how much percentage of the people desperate to sell their house, but there are plenty of people who are desperate to sell their plot. The other side of story is the new buyer, who have saving and want to enter in the property market. The property market is depended on new buyers. If these types of buyers will not enter into the market then it leads to further destruction of market. Simple calculation are proving that the above mentioned buyer who have savings can doubled his/her savings in next five years easily. So if property price remain stagnant in next five years, then this buyer will be able to purchase two properties from doubled amount instead of one property. Then why he should purchase one property right now. For seller point of view, if seller sells his property in 50 percent of 2016 peak price right now or hold the property for next five years, then both conditions are equal. Because he can again reach from 50 to 100 percent through interest rate, or he sell the same property in 100 percent amount after five years. Those sellers will be lucky who may sell their property right now in more than 50% of 2016 peak. We are assuming here that property price will remain stagnant for next five years. So which buyer out of below two will be the winner in 2023-2024. 1) Buyer who will wait for five years. 2) Buyer who will purchase now. And which seller out of below two will be the winner in 2023-2024. 1) Seller who sell right now in more than 50 percent of 2016 peak price. 2) Seller who hold property for five years. sir yoy are forgetting that most of the banks invest in properties. Banks do not directly invest in properties. They just give loans to buy property. Even they do not purchase property for their branches. Most of bank branches are on rent. sir bank alfalah has lots of property on bedian road lahore, record is even available on land record management website. It is a new information for me. I tried to find out but no success. Could u please share the link where I can find bank alfalah property record. sir you go to the following website and check your self. Please give me the full link. I already tried on this website but found nothing. I am from Karachi and working in Bank Alfalah. The only reason behind real estate bubble bust is the change of interest rate. Bankers increase and decrease interest rates to crash the market worldwide. Keep it in mind that Stupid Finance Minister asad umar is increasing interest rates. So property price will fall. Know the basic fundamental how banks work and earn profits. We bankers buy property once interest rates start decreasing. We bankers start selling property when interest rates start increasing. This is the time to hedge your money against inflation as dollar will soon touch 160/170. Forget property investment for 10 years. It mandatory to increase interest rate if Asad umar wants IMF Loan. This man has destroyed Pak economy. Deposit your money in banks to safeguard it against inflation @15%. What benefit you get from investing in real estate. 25% property decline plus 15% inflation. Only stupid people will buy and invest in real estate. Ah! Pakistan is full of stupid people like Asad Umar. I have told you in advance abiut what banks are planning for. But if you want to trash your hard earned money then who can stop you to drink poison. Your prediction seems much sensible. Many thanks for telling me truth. I will wait now to buy home. Can you tell me when interest rate will reduce? The downward journey of interest rate will start in early 2022. This is also the time when slowly property rates will improve. Because of this stupid finance minister if property prices coming down and reachable to middle class citizen I will be more than happy to have this stupid FM rather than those finance ministers who fudge dollar rates and protect interest of some “privilege” class. Any commenters on this artical that states market hasn’t crashed and not likely to crash at all. there has rather been slight upward fluctuations in various property hubs. This says that market has adjusted and there is no foreseeable decline. What do you think? Good effort by TRIBUNE to change the market but its too late now. PEOPLE HAVE MONEY TO INVEST BUT ARE AFRAID AS MOST INVESTORS HAVE LACK MONEY. People who have white money have low purchasing power. 5 transactions per day in DHA Lahore where in 2016 there were 200. Then people should start buying. ISLAMABAD: As the incumbent government is facing severe economic issues, it is likely that another supplementary budget would be introduced soon through a financial bill, sources revealed on Saturday. According to sources, Pakistan Tehreek-e-Insaf (PTI) government is making arrangements to introduce another mini-budget that would be aimed at meeting the conditions of International Monitory Fund (IMF), the constitution of Sarmaya-e-Pakistan and removal of the condition of filers for the purchase of properties. Sources said another supplementary finance bill would be imperative to meet the revenue shortfall, adding that the government was working on the same lines. However, the bill would only be introduced in case the government failed to get major assistance from friendly countries. In case the supplementary budget is introduced, this would be the second mini-budget that the incumbent government would present in the current financial year, as it had presented the first one in September 2018. According to sources, in order to decide about subsidies, taxes, tariffs, and duties, as suggested by IMF, the government needs to amend the Finance Bill 2018. Apart from these measures, the constitution of Sarmaya-e-Pakistan Company was is also needed after approval from the parliament. According to details, Sarmaya-e-Pakistan Board of Governors will be headed by the prime minister, while other members of the board will include three federal ministers, whereas seven members of the board would belong to the private sector. Sarmaya-e-Pakistan would submit its recommendations to the federal cabinet. Following recommendations, the federal cabinet would hand over the government control of the state-owned enterprises to the company. This step, as claimed by the government, would minimise the government control of SOEs and help manage them professionally. The model of Sarmaya-e-Pakistan was taken from Singapore and Malaysia. Prime Minister Imran Khan, during his visit to Malaysia, was briefed about the success of ‘Khazana model’. Apart from the new company being constituted to manage the affairs of SOEs efficiently, the PTI government would also be taking another major ‘U-turn’ by removing the condition of filers on the purchase of properties in the country. “Prime Minister has recently been informed by the members of Pakistan Business Council that the removal of condition on the purchase of property, vehicles etc. could give a much-needed boost to investment and business activities. The premier was almost convinced by the idea and he may direct the finance ministry to remove the conditions through the supplementary budget,” said an insider. In the previous supplementary budget, introduced in September, the incumbent government had decided to remove the restrictions on non-tax filers with regard to purchase of real estate and automobiles. However, after criticism from opposition parties, the decision was reversed, keeping the restrictions imposed. In the last budget of the Pakistan Muslim League-Nawaz government, a ban had been imposed on non-filers of tax returns to purchase new cars and properties. The car manufacturers and real estate developers were up in arms against the decision that had plummeted car and property sales by up to 50pc. According to sources in the automobile sector, the manufactures/assemblers were presently facing a cut in demand by 25 to 30pc due to the said restrictions on non-fliers. The issue of filers was also taken up by the automobile sector’s representatives with the prime minister at the recently held Pakistan Economic Forum, organized by Pakistan Business Council. While deciding about the removal of the condition earlier, Finance Minister Asad Umar had claimed that the ban was interfering in the ability of overseas Pakistanis to do business and invest in Pakistan. However, sources believe, the decision of removing the condition on non-filers will also give a negative signal to investors and the existing filers at a time when the government is forcing people to become filers. Interestingly, the finance minister, while introducing the supplementary budget, had claimed that the mini-budget for the current year had become inevitable because of severe economic crisis and necessitated by the “unrealistic” budget announced by former finance minister Miftah Ismail. Earlier finance Minster said 1 rupee decline increases unemployment by 1 million. Asad Umar has already made 35 million people redundant and will create 2 Lakh new jobs. Only you can trust this handsome Finance Minister not the people with brains. I am working in Bank Alfalah Karachi. We are now very happy as interest rates are increasing. We gave loans to customers at low rate and now will get huge profits. Property prices worldwide increase or decrease depending on the interest rate. As interest rate are increasing so property will crash. Dollar will shoot up to 160 rupees. Best way to save money is to deposit it in banks. It is called hedging money against inflation. For7-10 years real estate prices will be low. This is my sincere advise otherwise property mafia group will play with your money. As chances are 100% that in coming recession all people will loose money if invested in property sector. All banks are selling their real estate assets to save the money. Asif you are banker or whatever interest is haram in islam and one must avoid, if possible, those who eat haram are called haram khor. so its is individual choice now. Government is claiming the success of widening the tax net. Lets see the future outcomes. If this is true that govt has been able to increase tax net, would it mean you will change your anticipation of property crash? because it may become apparent that people had ligit money and just that they were not filing their returns. so No price decline is expected? Property market depends on many other factors than just government laws. Just study the impact of interest rates on Pakistan real estate sector. Interest rates increased from 7.5% to 9% in 2005 and real estate market crashed. Record high interest rate in 2009 and record low property price. Interest rate started falling from 2012 onward. Property boom from 2012-2016 as interest rates were record low in 2016 at 5.75%. Now interest rates are once again increasing. Currency devaluation is what we can see. Compare it with the situation of 2009. So property prices will only fall. No one invests in a market where currency is falling and economy is in constant decline. People only invest in stable and growing economies. When investment is low in reality sector so prices fall. The situation we face now. Thats not a hidden secret that brokers manipulate the market. They have always been like that. The challenge is can we do something about it? Nothing because if you have to buy or sell property, you will have to rely on these brokers. just i have read in the newspaper that in Gowadar their is about 62% housing societies are become fake and now NAB is investing. 1) what will happen those people who have invest money? 2) If the owner of the societies have become left the country to make money then what happen for their investment? i mean they will they will read KALMA TAIBA and forget? 3) 62% fake societies is becoming very big , so why Government have take action earlier to save public money? 4) is it the sort of investment companies in future i have seen that investment companies make glory picture and take money from public and far away. The last governments were so busy in looting the treasury that they had no time to check the status of the housing schemes. I would like to say that last governments were partners in property frauds. Now NAB should arrest the authorities that allowed the schemes to sell plots. NAB should recover the money and people who invested in these societies should be compensated. NAB should arrest society owners even if they are abroad. sir, what future of bahria town, khi, isb and rwp, u r seeing. Unfortunately Bahria Town has no future in Pakistan. There is a technical issue with Imran Khan that is the real problem. Imran Khan and corruption can’t coexist at the same time. One has to go; either corruption or Imran Khan. IK is bent hard to make Pakistan a corruption free country. We will see the same patterns in other illegal housing schemes. SC & Government should compensate the people who invested their hard earned money in Bahria Town. If a person establish business he first consult with lawer and follow rules and regulation. BTK owner is very experianced person. so he must have done all paper work. Things will be clear after few months. He is a businessman and have know how to do business. Businessmen don’t blackmail government or SC by organizing protests and road blocks. It is called open rebellion. This will be crushed at all cost. Is it the fault of SC or Imran Khan that people have lost their investments? 2 LAC investors of Bahria Town consulted SC before investing? What is the fault of people who built buildings on government land that have been demolished? Law is same for everyone. The illegal acquired land of Bahria Town will be repossessed by government at all costs. Unfortunately Bahria Town has no future in Pakistan ? I give very importantly of your views because you have a lot of knowledge and have involved in the property market. But the above comments really shock me that what are you saying…. Anyway,, every person have their own thinking pattern which comes from parent, schooling, gathering, So you are saying from your ATTITUDE and nothing else. it is not my tendency to comments on the politician, SC, because i know SEEING IS BELIEVING. Regarding Malik Rian sahab(owner of a behria town) i regards from the core of my heart for the philinthropist work which he have done in Pakistan, He is the proud personality of Pakistan try to make Pakistan a RICHEST NATION OF THE WORLD.We also respect him for generating thousands of job in pakistan. Every is worried about the investments of 200,000 investors and job loss but we have to obey the law. The illegally acquired property is a bigger crime than feeding few poor people. Can you make a housing scheme on government land in Europe? Can you be a celebrity when you don’t obey the state law? MALIK RIAZ is just trapped. He is not a rich person but only a front man. All politicians and property mafia have invested in Bahria Town. The crime of Malik Riaz is just 1% as most criminals are hiding under the cover of Bahria Town. This property scam will uncover the many ugly face in Pakistan. As a responsible citizens we should not listen to the MEDIA LIFAFAS. We should stand with the law and SC. In your response to Ms Fatima, I do agree with your point of view provided if state was not involved in BTK. The real criminals are the officers of development authorities who take bribe and allow the development of illegal housing schemes on government land. LDA, CDA, KDA, RDA & GDA are the house of criminal officers. But I fully agree that whatever the outcome of the Bahria Town case the people who have invested their hard earned money should be protected. Same is true with PARAGON CITY LAHORE and other societies. 1. Benami allotment of Bani gala land?? 3. Farmhouse constructed on land not for housing?? 5. Loose character moral corruption?? Medina state??? 6. so on and so forth?? Unfortunately non filer restriction may be lifted in near future through a mini budget. Prices of property will adjust as per inflation after that. That is to say, i am predicting an increase after lifting the property and car purchase ban on non filers. Good move to save the sinking economy. But question is when government will decrease the interest rates. By May 2019 Pakistan State Bank Interest Rate will be 14-15%. Who will invest in real estate rather than depositing the money in banks. Why Pakistan property prices collapsed in 2005-6? Because interest rates were increased from 7.5% to 9% now increased from 5.75% to 10%. Government will ask the source of income or not. Because acquiring about source of income is different than lifting the buy restrictions. Who invests in an economy where currency is constantly devalued. Example property prices were record low in 2008-9 because Zardari government increased the interest rate to 15% and started massive money printing program. Situation is same now. People have another option now in form of NAYA PAKISTAN HOUSING PROGRAM. Why people buy expensive homes or plots in illegal housing schemes when on the price of plot people can buy home. Can new laws revive the investors confidence on Bahria Town and Paragon City? What will happen to the investors? Who will dare to invest in these big brands and other housing schemes? Why property prices collapse worldwide as in most countries there are no property buying restrictions? Why DHA KANAL Plot prices collapsed from 150 LAC to 50 LAC in 2005 when there were no property buying restrictions? So there are many factors that influence the property prices. The current condition of Pakistani economy and rupee devaluation has already decreased the property prices by 35%. PAKISTAN REAL ESTATE PRICES OBSERVED IN 2016 WILL NOT RECOVER TILL 2023/24. 2019 WILL BE THE WORST YEAR FOR PROPERTY MARKET WORLDWIDE LIKE 2009. I do not agree with Malik Anwar Sb. Anwar Sb is just creating panic for the promotion of his blog. These schemes in Gwadar are not fraud nor their owners will escape. In fact, their owners did not update their NOC in GDA., That’s it. See the list here. The societies with expired NOCs in the list just need to update their records. Can you have any 10 years data of Venezuela real estate market , so it would quite easy for understanding about the market trend. today i have just see an advertising from Telenor microfinance bank that on deposit for one year 13.5% profit. if this trend will start then where will you see real esate market in pakistan after June 2019. i mean if a 500 sq/yard bunglow price is RS 6 crore then after June 2019 what will be the price? If a person invest bank 6 Crore then he can get RS 6.75 lakh monthly, so their will no benefit the person should invest in property.What do you this about this matter? This is what most people fail to understand. INTEREST RATE CHANGE HAS HUGE IMPACT ON PROPERTY PRICES. As interest rates are increasing in Pakistan so people will sell property to deposit money in banks. 13.5% annual profit is a big amount. So money will double after 5/6 years but in real estate sector investments will be 1/2. This is one of the factors that why people are not willing to invest in real estate sector and price fall can be seen everywhere. You cannot compare Pakistan with Venezuela as Venezuela is the biggest oil producer of the world so their economy only depends on oil. A massive reduction in oil prices hit their economy adversely. Secondly, interest rates only hit property when the property is dependant on bank mortgages. There is no such scenario in Pakistan. Property price in Pakstan will depend on the economic situation. If there is a strong economy then prices will high. If there is a poor economy, the prices will fall. I want to sell my Plot in DHA Ph 8 LHR. My cost in 2016 fall was 243. Now receiving offers of 170 Lakh. My question is that either market is down or dealers are playing the dirty games. Dealers told me no one will buy above this rate as most buyers have black money and DHA will not allow their transactions. Friends please clear the confusion and tell me what is happening in the market. Also in next 3-4 months prices will increase or fall? Everyone says dealers are bad and you are saying the same. Yes dealers are bad but 5 fingers are not same. There are many honest dealers in DHA Lahore and all over PK. People also think dealers are uneducated. This is wrong approach. Many dealers are very educated. My education is MBA. I and others are in this field because no jobs in Pakistan but property market provided good income. Pakistan real estate is in very bad condition. This is because of the stupid policies of Ishaq Dar and Miftih Ismail. Now Imran Khan is worst enemy of estate agents. In my office two dealers supported Imran Khan in elections. Now they are abusing him. Asad Umar has recently approved budget and yes prices are down. Market is slow because there are no buyers but main issue is type of wealth. Last month I went to DHA office Phase 6 for transfer of plot. They checked the tax status of my client and refused to process the plot transfer only because my client don’t pay tax. Dealer are leaving market. Some on Uber some Careem. I am joining McDonalds on 10 Dec. We are also human and we also have expenses. 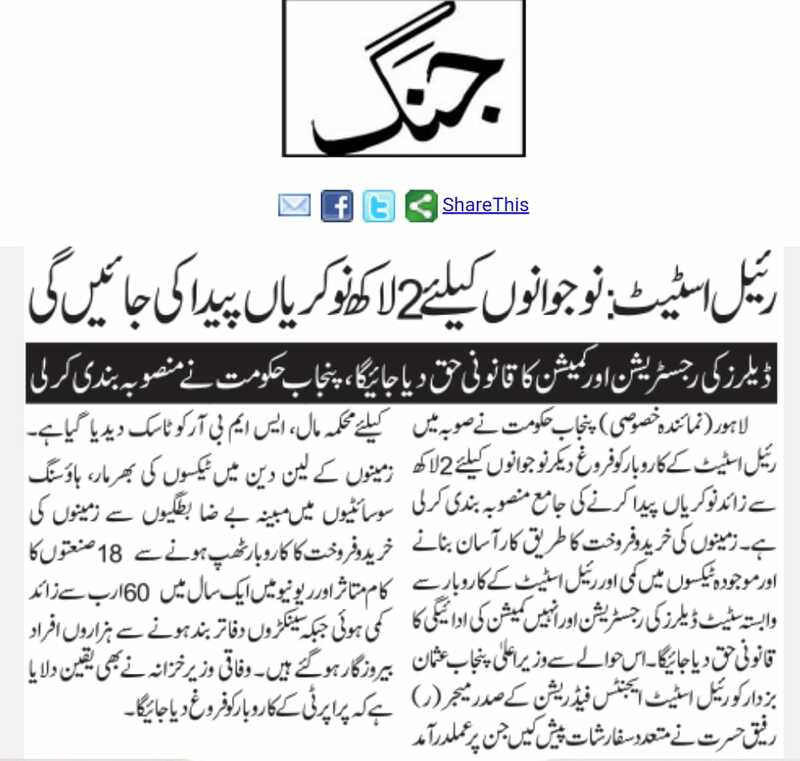 Most dealers in DHA Lahore have no deal in last six months. Imran Khan has treated us like enemies of Pakistan. We are also Pakistanis. My friend dealers say that Imran Khan will end property market as business because Imran Khan thinks every dealer supports PMLN. Half dealers are now doing other jobs or businesses to feed their families. If situations remain the same then Allah Hafiz. Property prices are slowly falling. Sellers who want money are reducing the asking price. But buyers want very big discounts. This is why daily file transfer of DHA Lahore is now under 10 but 2/3 years back 200 transfers every day. My advice to you, sell your plot at 170 lac. You will fell lucky in few months. If Asad Umar does not change bad property laws no one will pay you even 100 lac. Property market will be down for 10 years. My old clients have already secured money by selling 23 plots at 7-23% loss and they are happy. One says he had bad experience of 2005 market decline when he sold 150 lac plot for just 65 lac. He also says market situation is as bad as in 2005. Zameen.com people are good people but their business model is bad. I asked a guy who surveys DHA Market about their business and he said zameen.com is reducing expenses by making employees redundant. He told me that income is very low now as dealers are not buying packages. He also said that he is worried for his job. He praised zameen.com and said company was one of best paying in Pakistan with many incentives but due to bad property market condition they are reducing the jobs so many people were given notices to leave company. This is what he told me rest Allah knows better. Thanks for sharing your concern. This is one reason we all hate property dealers. They can lie to you beyond your imaginations. I am saying this because the flip side of the story is that they are not telling this same story to the buyers. I am looking for 1 Kanal plot in Phase 6,7 and 8 for past 2-3 months and they keep telling that it’s sluggish but they continue to increase fake prices every now and then. Eventually, this fake price increase has gone to a level where no one with legitimate money who is also a filer is willing to purchase. I have recently sold one of my plots and guess what the person who came to pay Bayana was dealer himself. They will buy it from you themselves in 100 lacs very soon and then sell it for 200 plus so they could increase their own filthy margins before the market crash becomes clearly visible. Core business for them is not to connect buyers and sellers anymore but to fool people around. More you can make people fool, more successful property dealer you are. Like me, many others are not interested in purchasing property now unless a significantly discounted price is mutually agreed and it is certainly going to fall in future because seller are in rush, buyers are not. Every now & then sellers also air their views, usually about properties for which they are not getting offers or getting really low offers and they are wondering what has happened. Sometimes, brokers have also commented on the dark times market is going through. And then everyone has their own unique experiences. Everyone personally knows of various properties that are on sale (via friends, acquaintances, family, job circle, area of residence, and just plain vanilla-style observation). Are those properties selling like hot cakes? Or are they lying unsold for ages? Are they being sold at close to asking prices or at steep discounts? Helps to form a first hand opinion of state of market. Serious buyers sellers are fed up from the continued baseless analysis of this blogger.He himself is running real estate forum let him give readers a comparison of 2016,2017 and 2018 about known societies of main cities and their each phase instead of just giving sweeping statements that dubai has crashed so Pakistan mrkt will also crash. I am not saying that mrkt is very good but it is not so bad wht this gentleman along with few like minded are always mentioning. Can not trust him until he produces any comparison. In every crisis there is opportunity. If dollar settles around 150 it w give more opportunities to overseas to buy in lessor amount. We have to consider that so many properties have been declared illegal and this will eventually increase the rates in genuine schemes bkz population is increasing with high speed and next 10 yrs it w b almost double as pr today cheif justice conference. Real estate is under pressure and might remain same for 2_3 yrs but will bounce back strongly like it was witnessed aftr 2012 aftr recession of few yrs. ZAMEEN.COM IS A SHAMM….IT IS FOR THE BROKERS BY THE BROKERS…PRICING IS JUST RAMPED UP BY THE BROKERS…THIS DOES NOT MEAN THAT DEALS R BEING DONE ON THOSE PRICES….IF YOU COMMENT ON THEIR BLOG AND IT IS AGAINST THE BROKERS OR AGAINST THE HIGH PRICES BEING SHOWN THAN MOST PROBABLY THEN NOT IT WILL NOT EVEN BE POSTED BY THEM…EVERYONE BY NOW KNOWS WAT ZAMEEN PPL R TRYING TO DO…. Zameen.com is struggling to survive as it’s foundation was built on brokers interest and their subscriptions. Like many others, Zameen is now making failing attempts to keep telling the public that property market is still flourishing future is bright but my personal observation of their blogs and news sections is they are not posting content as aggressively as they used to do. Market is for sure struggling but they are somehow managing to showcase the fake picture and keeping their investors/sellers happy that nothing is going to happen. Bottomline question is…. you want to buy a property, you have to go to these brokers because its not USA or Korea where govt announces selling prices and the only truth you have to believe is what these brokers tell you. What to do about that??? Brokers are usually present; however at times the owners are also around. In some cases, one gets to a property via word of mouth where the owner directly deals with client. There might be no broker at all. I feel one could place an offer to a seller, which may or may not be close to his asking price. Let the seller then decide. In general, it’s better to have a broker as an intermediary as they are then responsible for documentation, it’s checking & verification formalities, etc. But one could always ask for a meeting with seller & then place an appropriate offer to him in presence of broker. So, at least in some situations, it may not be necessary to deal solely with the broker to the complete exclusion of seller. We all know market is really bad. Let the brokers do their song & dance routine of how fantastic the market is doing. During the period 2016-2017 whenever i have watch TV news channel just one news was prominent that is: DUE TO CEPEC PAKISTANIS FATE HAS BEEN CHANGED. but nowadays i am finding the news about CEPEC and i am getting no news.however the fate of Pakistanis is RS138/ 1 USD. and it has been coming sound to touches more than RS150. similarly, in this time period, i have seen that real estate prices have multiplied by 3 or 4 times. i did not see any price control from the government as well no news channel has highlighted what a problem facing a common man, especially a person who is living in the rental home. But if i talk about ground realities EXPORT can not increase and the clear reason is that: FACTORY HAVE CLOSED. Money have shifted to real estate and this is not possible once a person has closed their factories and they again make the decision to start it again because it is not an easy task. 3)There is zero % hope that export will grow, FDI is also downward, it means there is no JOB, then who will buy 4 times multiplied real esate. and very soon the government will take U-turn to claim increases of export. 4)now the most important question is : is the houses and land have been increased to sell it for chinese people and if chinese are not coming in pakistan then who will afford to buy 400 SQ yeard home RS 7 crore and how many Pakistanis can afford it??? Rule of thumb is when economy decline so falls the property price. Example is Venezuela and Dubai. No one wants to buy property there as their economies are struggling and property prices are falling. Pakistani economy is also falling as we can see the devaluation of rupee. How on earth Property prices in Pakistan can keep rising when economy is in decline as indicated by depreciating PKR. sir very deep analysis and eye opening facts you have mentioned. Thank you shahbaz bhi, i have tried to show realities which i am seeing in the market. In my opinion i am sorry to say a kiryana shop(very small mart) is being run much better planning than Pakistan is running. KARACHI: The Revenue Division has formed a new Inland Revenue field for information namely Directorate General Immoveable Properties (IMP) to act as Federal Board of Revenue (FBR)’s specialized agency on all matters relating to real estate and immoveable properties. Directorate General IMP will start immediately – after its launch – identification of high end properties on sale and rent through internet navigation focusing real estate specific websites as well as discreet video surveys of new & upcoming real estate projects. DG IMP would also deal with real estate financing and insurance: tools & documentation with special reference to taxation regime; forensic analysis of tax evasion prone areas in real estate, especially pilferages in withholding tax collection in real estate related transactions. The Directorate General will act as FBR’s specialized agency on all matters relating to immoveable properties i.e. ; open plots, constructed properties both residential, commercial & industrial, agricultural lands, housing schemes/projects/societies/towers/chains of luxury apartments and other related similar assets. The Directorate General would also deal with real estate builders, marketing entities, brokers, architects, consultants, interior designers and all other related services providers. It would also be responsible for digitized property mapping and geo-referencing based on digitized survey; photogrammetric, a method of mapping based on aerial information; valuation of immoveable properties i.e. roping in private valuers, periodic indexing of valuation, updating based on market survey; tracking online marketing of immoveable properties; mapping of rented properties (all kinds) at major urban centers, industrial estates, zones and areas. This new DG would keep liaison with provincial Excise & Taxation and Land Revenue authorities for coordinated operations; provide input to Inland Revenue (IR) Policy and IR Operations wings with reference to real estate sector. Its job description also includes survey and market analysis of real estate market segments i.e. geography, property type, ownership type and occupier/tenant type. The DG IMP would develop standard operating procedures (SOPs) for different segments of its job description and generate Discrepancy Reports in the cases of registered as well as unregistered cases. Just waiting for another crackdown on people who registered property at low rates. Does govt have enough money to buy back 90% of the land registered because i believe only 10% max would be registered on appropriate values? Govt is already short of cash and struggling to meet ends, I dont think they are going to make any practical move when it comes to buying land… and for what purpose? this is good tactic to encourage people pay due tax but not pragmatic. HOW GOVERNMENT WILL IMPLEMENT THE PROPERTY BUYING BACK LAW? Government will not buy back property but will force the property holder to register property at actual rate. Government will give time to the property owner for example 3 months. If property owner fails to pay the extra registration fee then government will buy back the property. IF THIS LAW IS FULLY IMPLEMENTED THEN GOVERNMENT DOESN’T NEED TO GO TO IMF FOR LOAN AS BILLIONS OF DOLLARS CAN BE COLLECTED. Current government is happy to implement this law of buying back scheme. BECAUSE IT WAS MADE BY THE LAST GOVERNMENT SO NO ONE WILL BLAME THE CURRENT GOVERNMENT. When we read your articles and website, we found that prices are going down in property prices and when we read zameen.com, it shows that property market is flourishing in Pakistan… I have been following up on property prices in Karachi for last few years and I found that its still seems to be increasing, in most areas, except for Bahria Town due to SC case. If you think property prices are increasing then you should cash the opportunity. Start buying as many properties as you can so to sell them at profit in future. I am not thinking that property prices are increasing but I am just stating the facts. I am also waiting, like many others, to property prices to go down 50% or even more. I am not sure if you are covering Karachi as well, as this is what I am following closely. 2. The (seemingly) contrary claim that asking prices have not declined or are even rising, even though they should have fallen. So how can both be right? It’s like this. Over the years there has been this culture, perpetuated & encouraged by real estate brokers, to periodically raise prices or to advise owners to hike rates. It worked well when market was actually doing well. Due to brokers’ games and easy flow of black money, perhaps the market rates jumped up by say, 40% in a year instead of going up by a more normal 5-10%. But then the good times ended, that is the market stopped being actually robust. Various reasons, like down cycle of market, real hit on black money after a long time, mismatch of type of supply & demand, change in taxes & restrictions on buying, regional & global trends ….all played their role. Whatever combination of reasons one is inclined to believe, the bottom line is that market came under extreme pressure. However, thanks to valiant effort of brokers the culture of periodically raising prices still remained. The only difference is that now the high prices go without deals. Brokers can go on raising prices to the sky to create a façade of market doing well ….. but it’s not working anymore. Or they would not have been taking out rallies & closing agencies. A fairly nicely built 1000 square yards house in DHA-Karachi that is about 10-15 years old, would have an asking price of Rs.15-18 crores. A few years ago, similar house would have had an asking price of maybe Rs. 12 crores ….. and would have been sold within a span of 12 months. Yes, asking prices ‘appear’ to be higher (say, from Rs.12 crores to Rs. 16 crores) …. but is a deal taking place now? The answer is a big No. At which price point would a deal take place? Well, for one thing hardly any legal filer is present to buy available houses. But if at all a deal does that place for such a house, it’ll likely occur at around Rs. 8 crores. Now –> ‘Higher’ Asking Price = Rs. 16 crores –> But no deal at all. Or rare deal at around 50% discount. Therefore, yes asking prices may be higher or may not have fallen in many cases specially on Zameen.com that is populated by brokers. Broker given prices are one thing but Zameen’s total silence on deplorable market conditions (e.g. in form of articles they upload) denotes their wish to trample their own credibility to shreds. Hope you could find a friend who works for them, ask him or her about the inner workings of their operations, and if he were to confide in you then you’ll come to know how ‘well’ things are going for them. Of all the sites, Ghar47 is quite right in claiming that (actual) market has fallen. Moral of story is not to go by asking prices; they are pretty much fake. Let brokers tell you to their heart’s content that your low buy-offer would not even cover cost of land and that they have multiple clients just dying to grab that very property you are looking at. So be it. Tell them to let their numerous other buyers take it then. You make an offer as per your own judgement & walk away to next property. Sooner rather than later, a seller would agree to a deal at a significant discount from his initial asking price because under present market conditions, without you there would be no deal at all. Yes there are two prices, asking prices + selling price. In United States no one care about the asking prices as owners can ask the prices they wish. What the housing department publishes after each quarter is the selling prices. The real price is the selling price. Worldwide selling price is the real price. Market dynamics and statistics certainly suggest a drop in price but we should not ignore the fact that there has always been shortage of housing units in Pakistan hence market only adjusts but it deoesnt fall because by the time people start constructing their houses, prices of plots either climb up or stay where they were but no down side. I see this article of yours which was posted about a year ago and while i can agree that market stagnation has been there in some parts where investors wanted short term gains while other have still increased dramatically due to construction activity like lake city and DHA ph 7. Many of us have been waiting for that 30%-40% drop in prices since a year now but sellers have been able to somehow hold on to their properties despite govt strict actions against black money and filers law. Wait for that price drop is still not over and not likely anymore as market has taken due adjustment? Your thoughts in light of article written a year ago please? 60-70% plots are empty in DHA Lahore. Things have changed a lot in 13 months. Since to approval of Mini Budget on 3rd October 2018, 1 Kanal prices in every phase of DHA Lahore have decreased by 15-20 LAC. Its very hard to find a filer buyer. This is the real issue. Prices are already 35% down from peak of 2016. Another 35-40% price fall is expected soon. Consider another factor. Rupee is already down by 25-30%. So prices are way down from level of 2018. One way or other investors have lost lot of money. Still lucky are those who sell their property and invest in other sectors as at the moment property prices are falling. Pakistani crash will be worst that even that of Dubai.